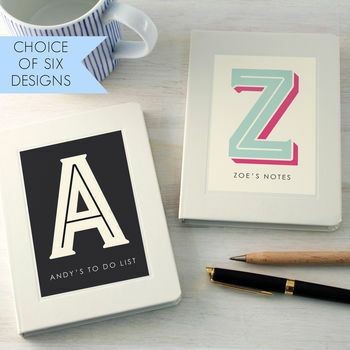 A stylish notebook available in any letter of the alphabet and personalised with your own text. Choose from six colour schemes and two sizes. 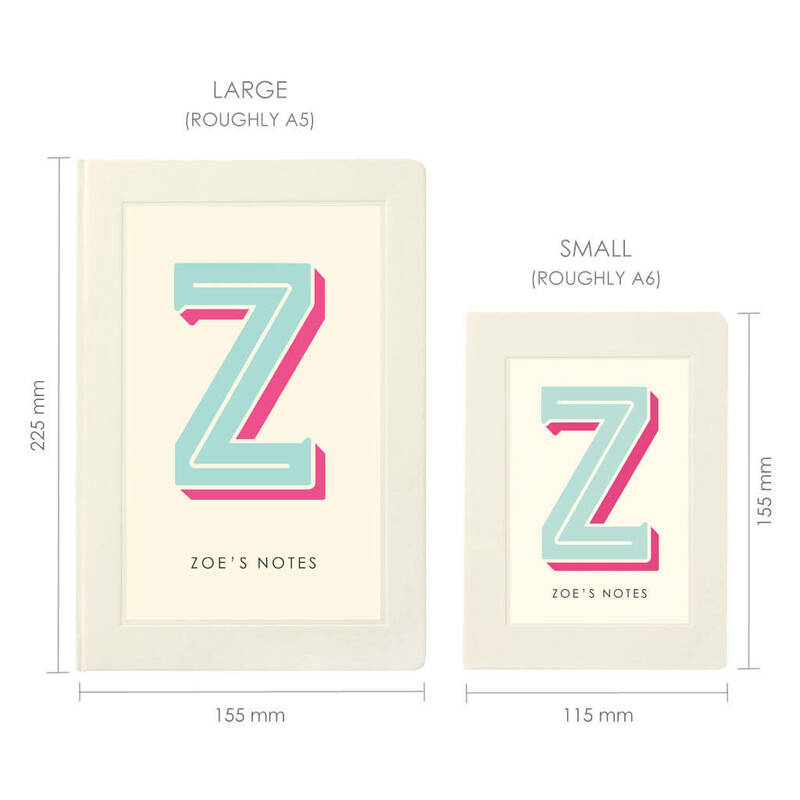 This would make a stylish and personal present for any hard-to-buy-for friend or relative. 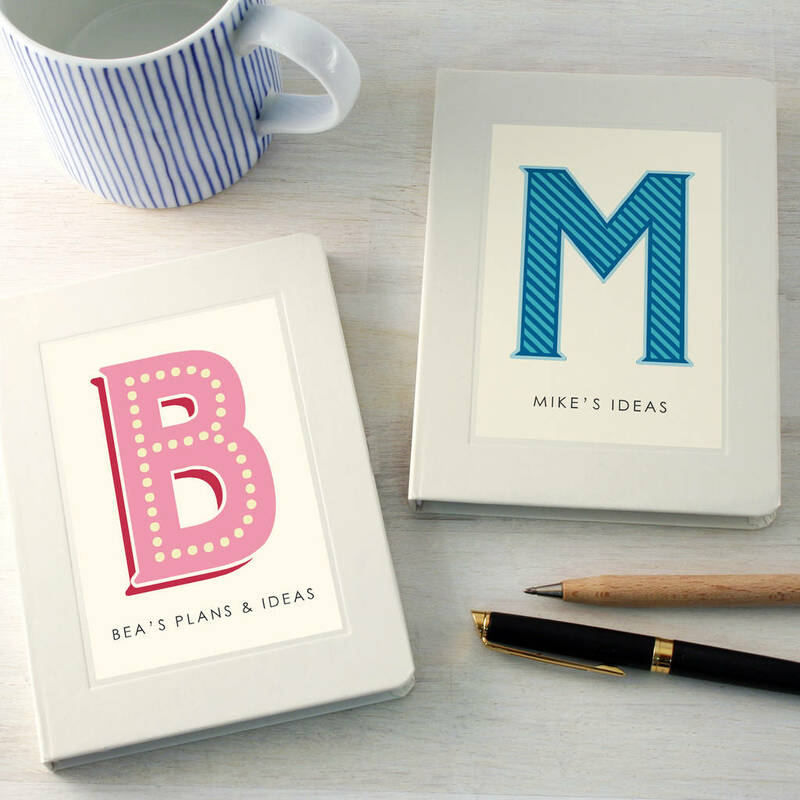 Perfect as a birthday present, thank you gift or stocking filler, or buy one for yourself to brighten up your desk! 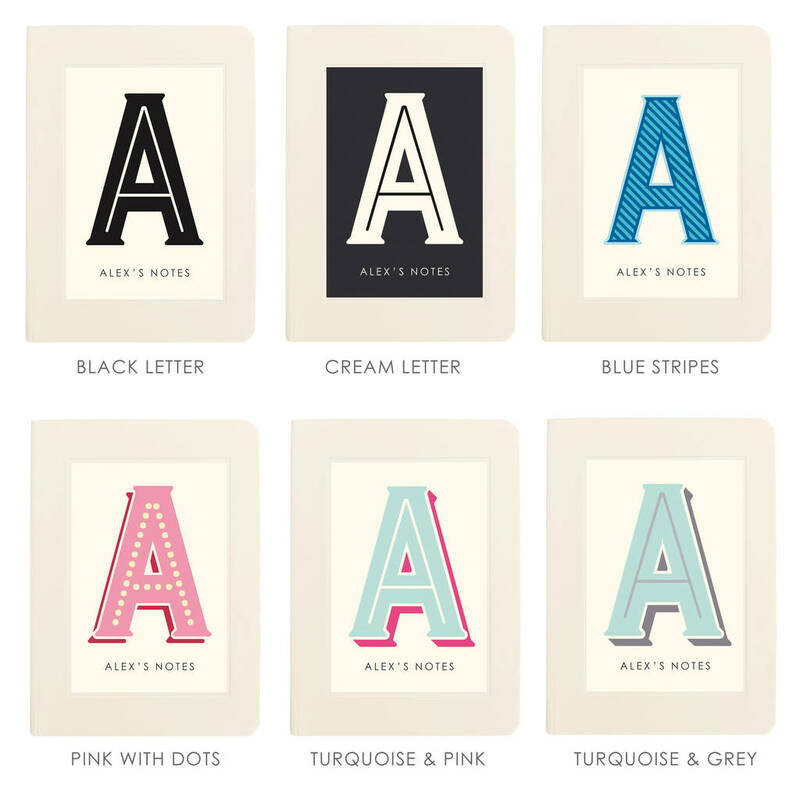 You can choose from any letter of the alphabet in one of six styles: Black Letter on Cream Background, Cream Letter on Black Background, Blue Stripes, Pink with Dots, Turquoise and Grey, Turquoise and Pink. View the images above to see all the styles available. Choose between two sizes- small and large. The small size is roughly A6 and has 92 pages, the large size is roughly A5 and has 120 pages. You can veiw how the size compage in the images above. 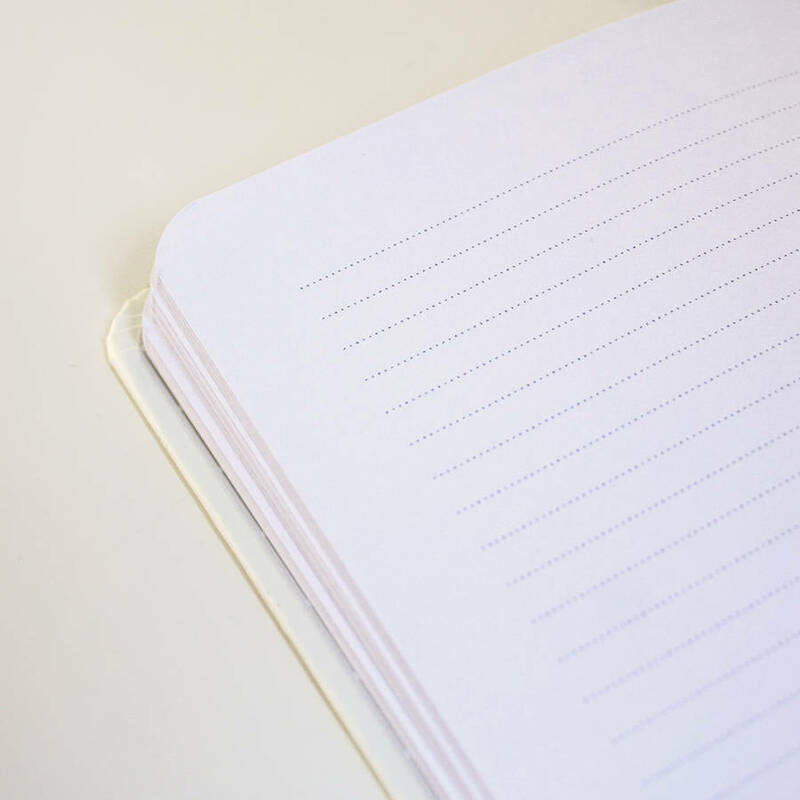 Please note, your text will be written in capitals as in our examples. 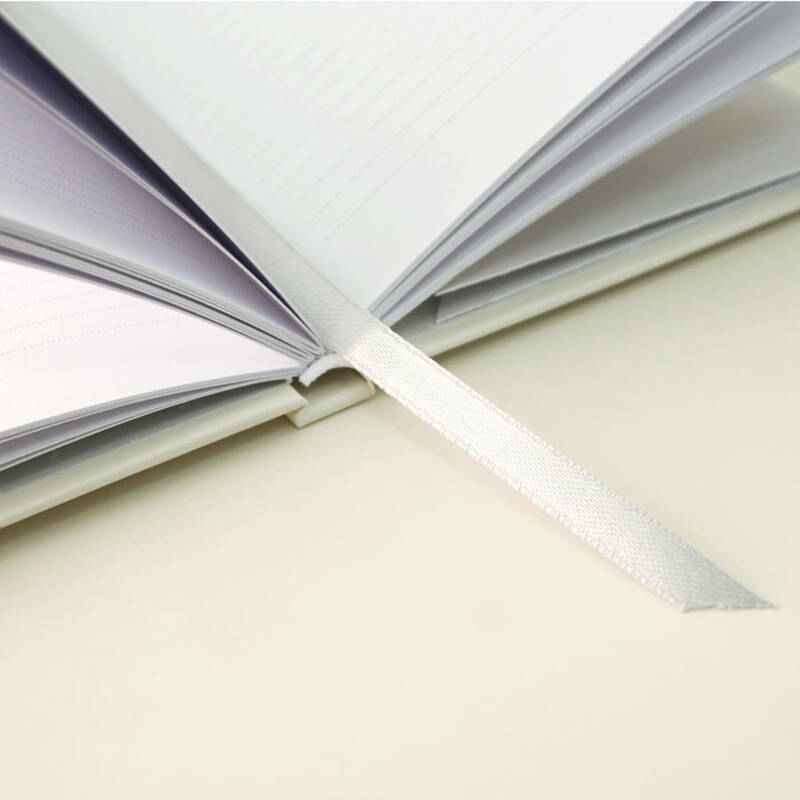 Small Notebook: H15 x W11 x D1.5cm Large Notebook: H225 x W155 x D17 mm. This product is dispatched to you by Made by Ellis.